The following is a collection of Wisconsin Second Amendment organizations. Visit these sites to learn more and get involved with defending the Second Amendment. A non-profit corporation dedicated to preserving & advancing the right of law abiding Wisconsinites to carry in the manner of their choosing. 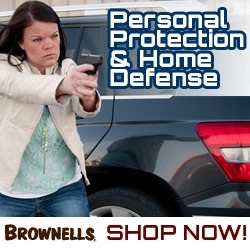 Promotes and protects the shooting sports, hunting, and the lawful ownership and use of firearms in Wisconsin. Coordinates match schedules of member clubs, monitors and recommends legislation, and provides training and educational programs for members, competitors and Wisconsin shooters. Wisconsin Gun Owners’ mission is to restore and defend the right to keep and bear arms through on-target strategy, and to hold accountable all those who surrender that right through compromise.